Nanjing USA is committed to ensuring that all our supply chain business partners comply with International manufacturing standards. 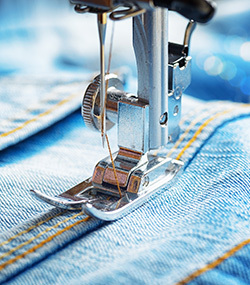 We are committed to promoting ethical labor conditions, environmental protection, water and energy conservation and the safe use of chemicals in clothing production. Nanjing USA takes its corporate and social responsibility very seriously, striving to encourage the most ethical business practices. We have implemented a quality system manual, which policies a comprehensive ethical sourcing and factory policy and quality auditing system. A separate and independent audit is performed by Nanjing USA auditing house, to ensure compliance with local labor laws and international conditions governing child labor, forced labor, general workplace relations and conditions of employment. Factories are audited on an annual basis to ensure social compliance and factory quality audit certification is continuously monitored to meet our customers and Nanjing USA compliance requirements.